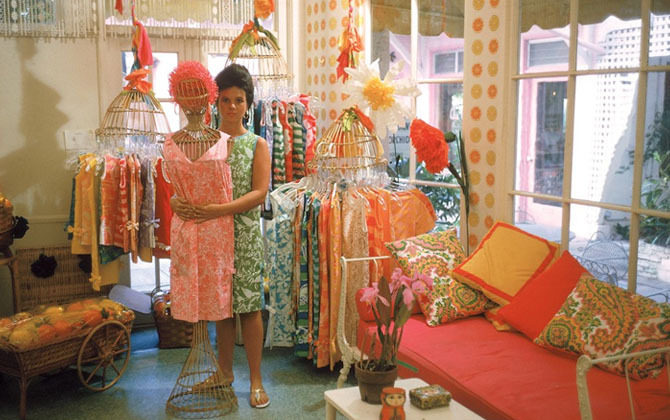 Lily Pulitzer was famous for creating brightly coloured print shift dresses, after she opened a juice stand in 1959 in Palm Beach and discovered she needed a dress that would camouflage the stains of orange and grapefruit stains. 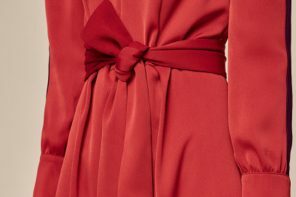 She had a brightly printed dress made and created a look that proved to be so popular among her wealthy social circle, that the dresses became known as the “Lilys.” Jacqueline Kennedy, who attended boarding school with Pulitzer, wore one of the sleeveless shifts in a Life magazine photo spread. Married to Herbert Pulitzer Jr, known as Peter, the handsome grandson of the publisher Joseph Pulitzer, Lily shocked her family by eloping with him in 1952. 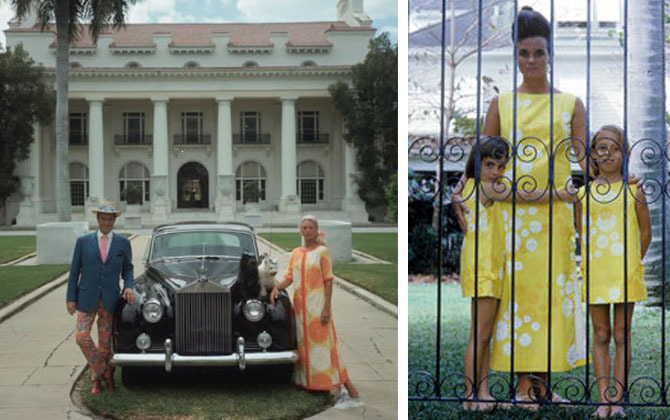 The couple lived on the Pulitzer estate in Florida and had three children within five years. She was also known for hosting parties barefoot at her Palm Beach home and published two guides to entertaining. “That’s what life is all about: Let’s have a party. Let’s have it tonight,” she said. Lily’s marriage to Peter didn’t last — she divorced him in 1969, shocking her friends and family again, by marrying Enrique Rousseau, who had worked for her first husband. 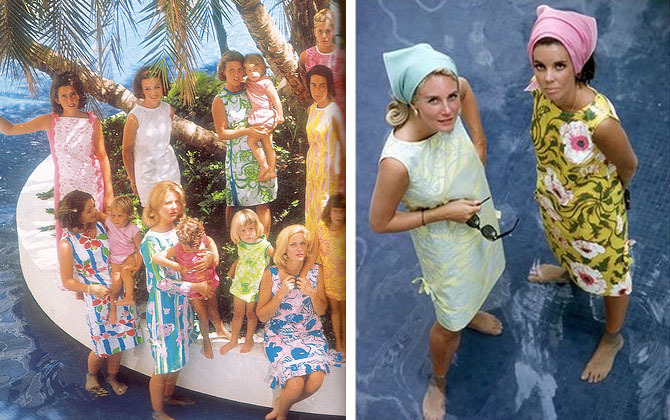 At its height in the 1960s and 1970s, Lilly Pulitzer, had sales of more than $15 million, a store in Southampton and a variety of famous clients. Revived by a licensing company two decades ago, after Ms. Pulitzer’s retirement, the label continues to be successful, using many of her original prints. Back in the ’60s we all made shift dresses in sewing class for summer – wonderfully easy to run up of course. I’d no idea then that we were following Lily. 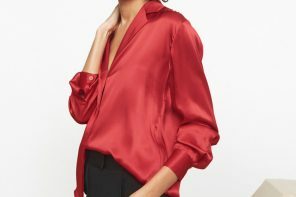 These are so great – I would wear them now quite happily – I might just have to get myself down to the tailor – mmmm good idea !